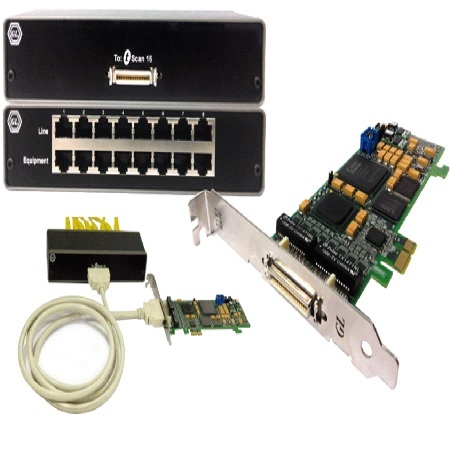 GL's tScan16™ is a high-density T1 E1 board with 16 ports and the newer PCIe (x1) bus interface. The sixteen T1/E1 ports are Receive-only ports optimized for high performance voice and data capture, monitoring, and analysis requirements. tScan16 extends the family of GL’s T1 E1 platforms with greater density, increased ports, and reduced power.